Prolific American Artist, Kelli Stretesky, raised in Ardmore, Oklahoma, lives and has worked in New York City as a professional artist for the past 15 years. She developed Art For Hospitals + to combine her passions of art and caring for people with the desire to make the world a better place and give back. Growing up in a small town, Kelli quickly realized the need to raise the presence of art in rural communities. Strengthening communities on fundamental civic levels such as culture, health and economy makes a difference in people’s well-being and morale. Through careful research, Kelli developed her formula for what type of art is the most effective in healthcare environments. The works are intentional and specific through: 1)subject, 2)size, 3)colors, 4)medium and 5)location of the work in the hospitals. It is what is best for patients, but the focus is on wellness in general. Originally with her heart set on being a physician, Art For Hospitals + has been a happy union of art and health for many people. 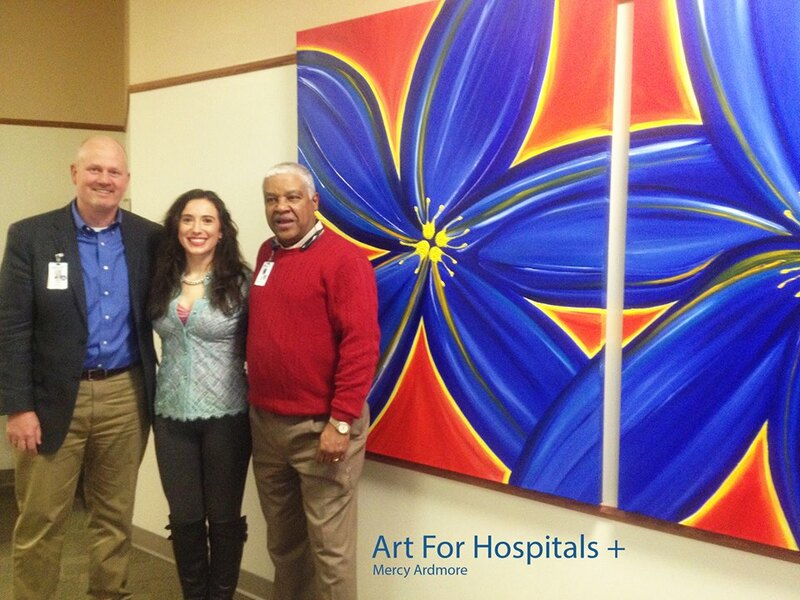 It has been a great delight to launch Art For Hospitals + in Ardmore, Oklahoma with the support of James O. Young, Andre Moore, Larry Pulliam, and Daryle Voss.